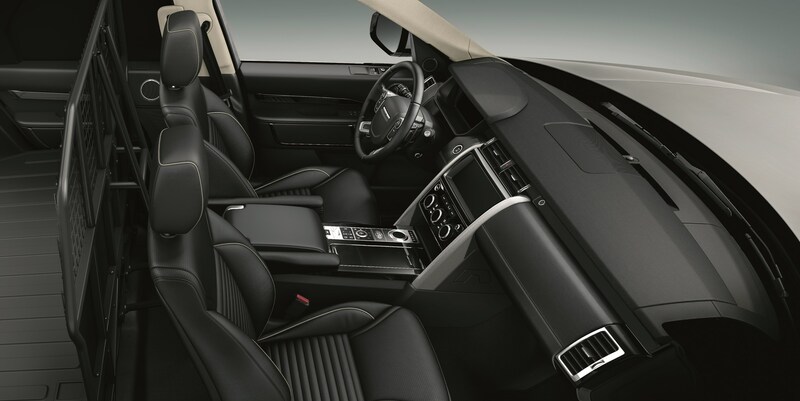 Land Rover has introduced the Discovery Commercial which is on sale now priced from £40,333. 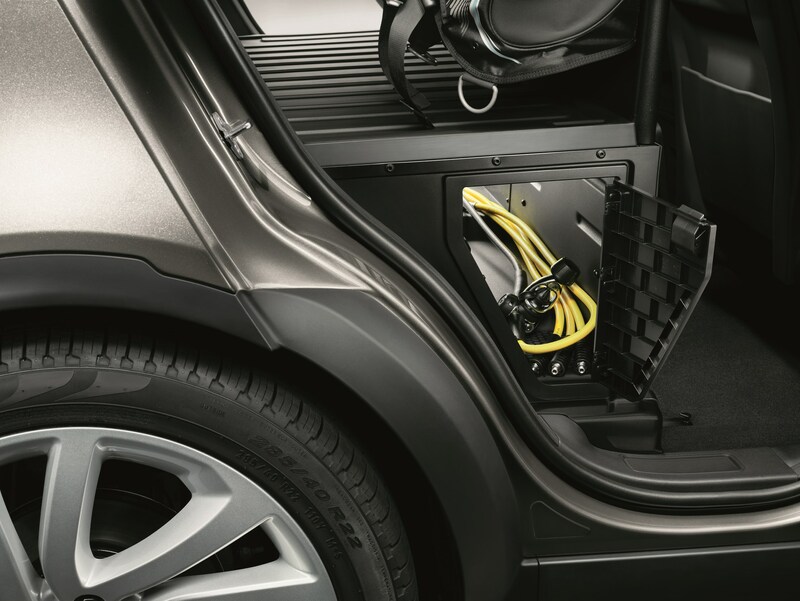 It features 1,856 litres of load space, replacing the second and third row seats, plus a 3.5 tonne towing capacity. 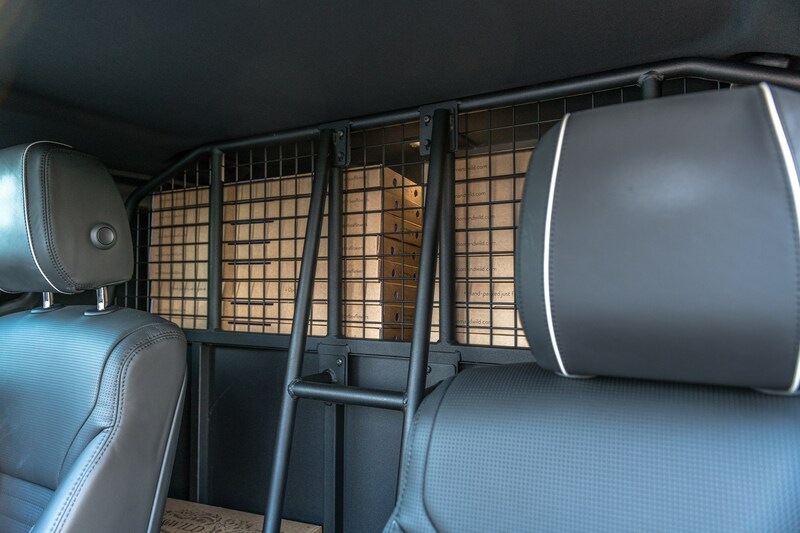 The load-space measures 1,635mm long, 939mm high and 1,411mm wide. The boot aperture is large enough to accept loads measuring up to 1000 x 735mm. 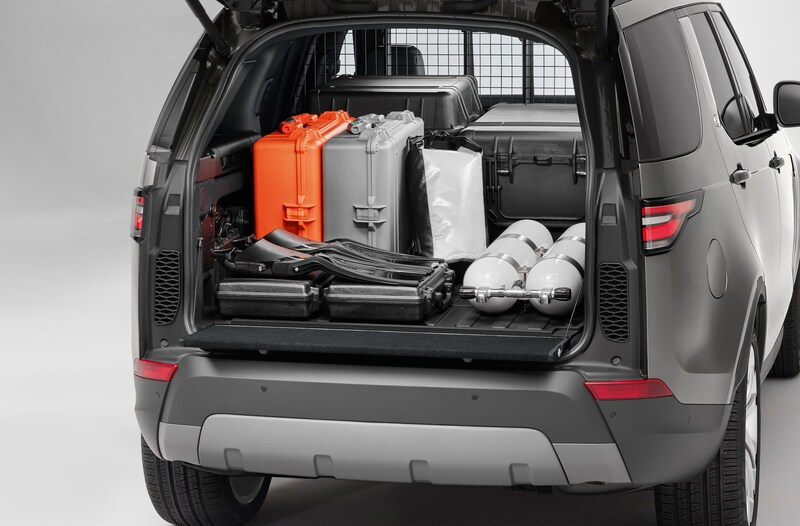 Discovery Commercial shares the fundamental underpinnings of the new Discovery SUV and is available with a 2.0-litre SD4 with 240PS or 3.0-litre TD6 with 258PS engine. All models come with four wheel drive, an automatic transmission, twin-speed transfer box, air suspension and a full-size spare wheel. Only a front row of seats are fitted. 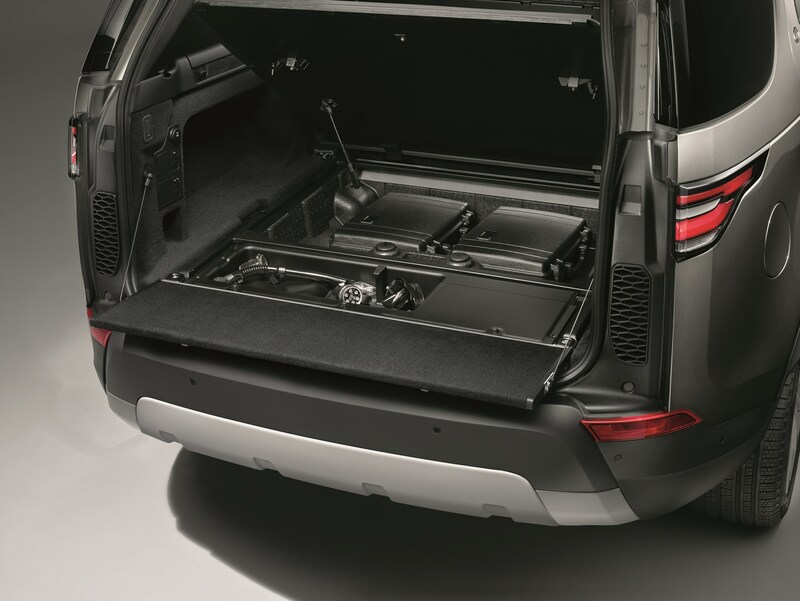 The second and third row seating have been replaced with a flexible hard-wearing load-space, accessed by a powered tailgate. 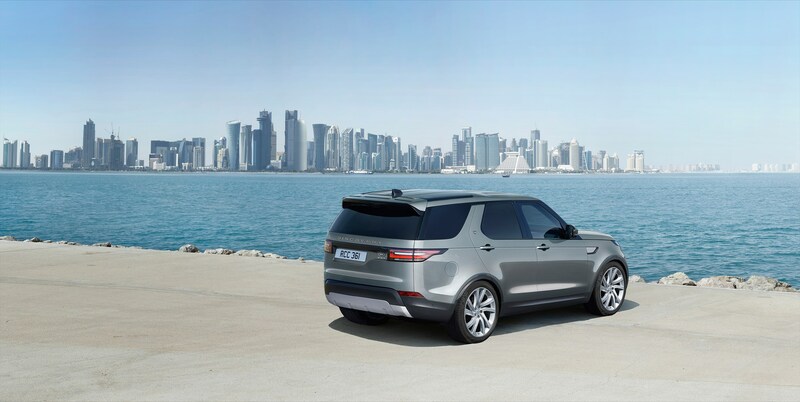 The Discovery’s exterior design remains unchanged with its rear window concealment panels masked by privacy glass so Discovery Commercial can be undistinguishable as a commercial vehicle if desired. Discovery Commercial features a host of technology, convenience features and driver aids necessary when transporting loads for business. InControl Touch Pro, cruise control and speed limiter, Autonomous Emergency Braking, Lane Departure Warning, heated windscreen and rear window, heated door mirrors, DAB radio, InControl Protect, Tyre Pressure Monitoring system, Hill Launch Assist, Dynamic Stability Control, Roll Stability Control, Cornering Brake Control, Gradient Acceleration Control, Hill Descent Control and Trailer Stability Assist all come as standard. 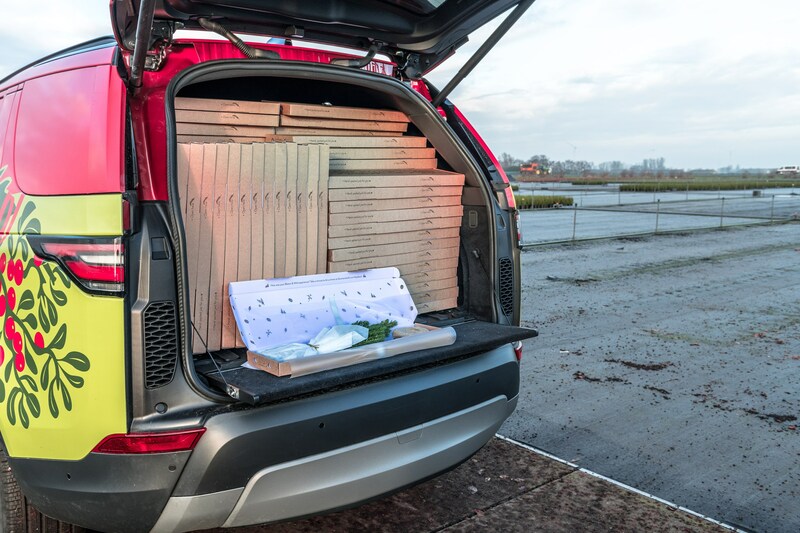 Land Rover teamed up with Bloom & Wild, experts in packaging and delivering fresh flowers to letterboxes across the country to launch the new vehicle. 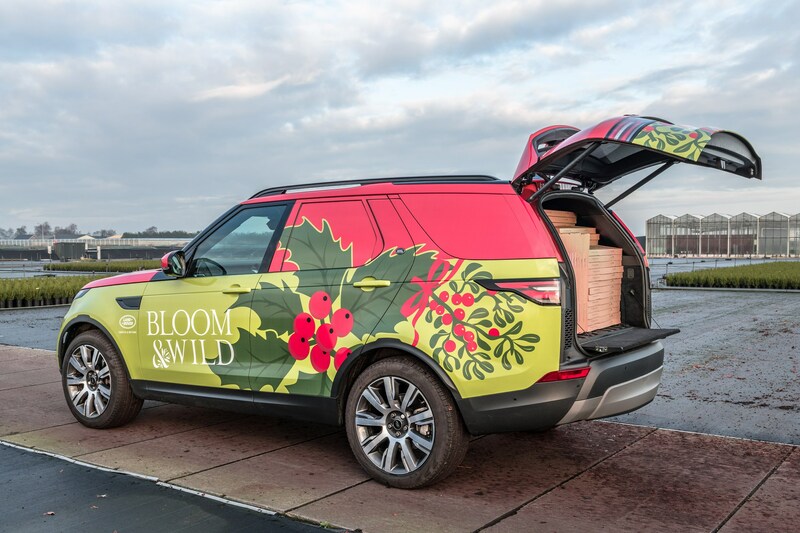 The new Discovery Commercial, wrapped in Bloom & Wild livery (pictured) hauled 300 mini Christmas trees back to the UK from their farm in the Netherlands in time for the festive season.